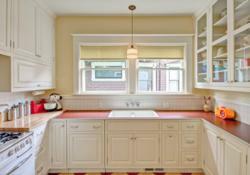 Historic Portland Kitchen Remodel by Hammer & Hand to Be Showcased by Architectural Heritage Center’s 2012 ‘Kitchen Revival Tour’. 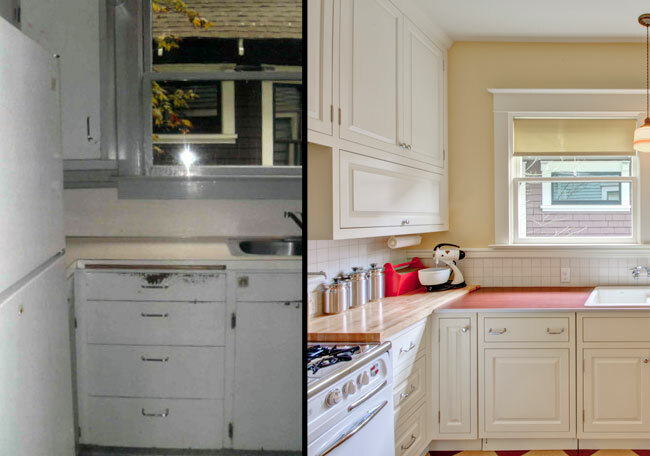 Kitchen remodel by Hammer & Hand in 1913 southeast Portland Craftsman home catches attention of the ‘Kitchen Revival Tour’ for its architectural accuracy and functional kitchen design. Ladds Addition Kitchen Remodel in 1913 Portland home. Photo by Mitchell Snyder Photography. This was a dream job," Cooney said. "I'm sure the clients were happy to get their kitchen back, but from our perspective the project could have gone on forever. This happens sometimes… something to do with chemistry. The ideas just flowed. Hammer & Hand’s recent kitchen remodel in a 1913 Craftsman home in southeast Portland, Oregon has been selected as a featured project in the 2012 ‘Kitchen Revival Tour.’ The Ladds Addition Kitchen Remodel, designed by Kevin Fischer of Alice Designs and Charlotte Cooney of Domestic Arts and built by Hammer & Hand, is a manifestation of the client’s passion for history and period architecture. "We wanted to respect the history and integrity of the house, most of which was intact when we bought it," said David, the client. 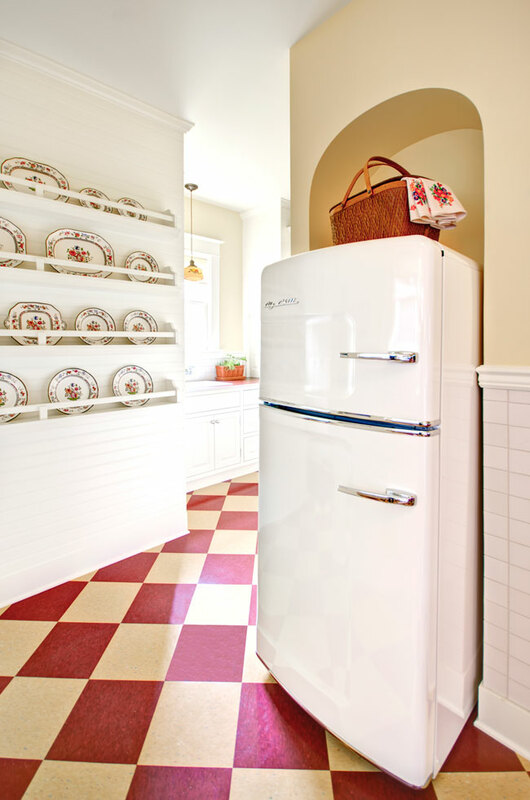 "To do this we restored the kitchen to the house's original period. It will never go out of style, unlike many contemporary remodels or just nods to Craftsman elements." 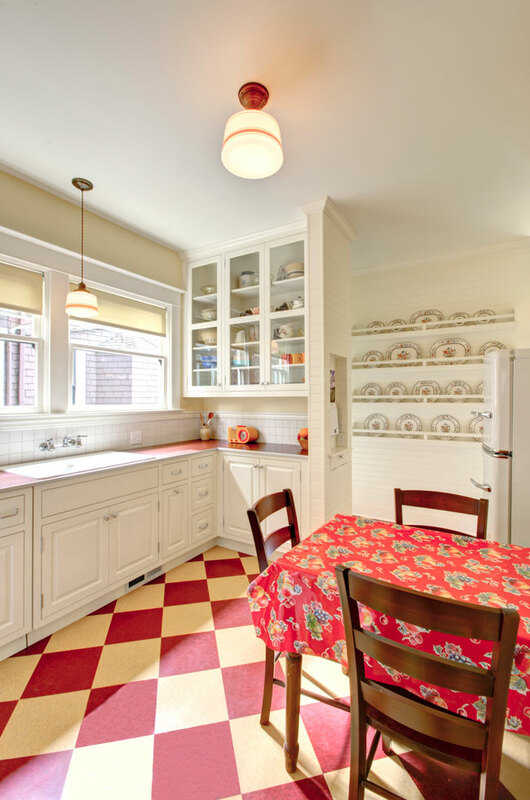 The ‘Kitchen Revival Tour’ presented by Portland’s Architectural Heritage Center, is rigorously curated to present the city’s most historically significant kitchen remodels and renovations. “Eight homes have been carefully selected by our AHC Kitchen Revival Tour selection committee to display a variety, from intact original kitchens, to those painstakingly restored to reflect the home's original style,” according to Architectural Heritage Center’s ‘Kitchen Revival Tour’ web page. 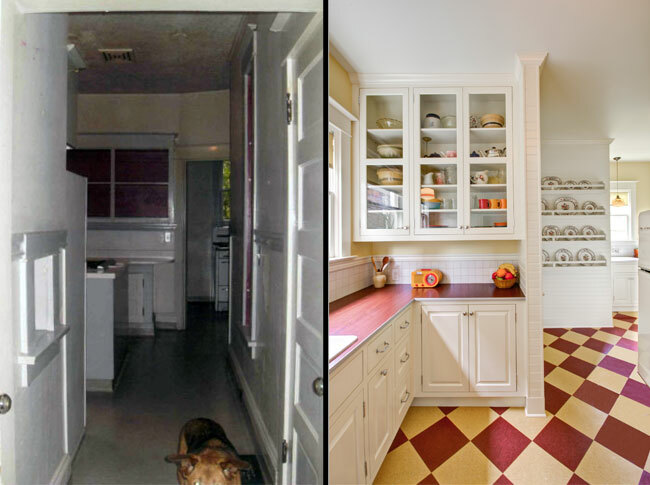 The Ladds Addition Kitchen Remodel’s client played a central role in orchestrating the painstaking renovation of the kitchen in his historic home. "Even though the architect and I did a lot of detailing and design work, in some sense it was more a process of just getting out of David’s way," said project interior designer Charlotte Cooney. "He had a really refined notion of what the space should become." The 2012 ‘Kitchen Revival Tour,’ now in its 14th year, will be held Saturday, April 14th from 10am to 4pm. Tickets are $20/25. Learn more about this tour of historic kitchen remodels and link to online ticket sales here. Hammer & Hand is dedicated to stewardship of the built environment through craft and science, everything from traditional kitchen remodels to deep energy retrofits to modernist Passive House structures. Based in Portland, Oregon, the remodeler and builder can be reached at http://hammerandhand.com or by phone at 503-232-2447. Ladds Addition Kitchen Remodel in 1913 Craftsman home. Photo by Mitchell Snyder Photography. Ladds Addition Kitchen Remodel in 1913 Craftsman home. Photo by Mitchell Snyder Photography. Before/After of Ladds Addition Kitchen Remodel. After photography by Mitchell Snyder Photography. Before/After of Ladds Addition Kitchen Remodel. After photography by Mitchell Snyder Photography. Before/After of Ladds Addition Kitchen Remodel. After photography by Mitchell Snyder Photography.